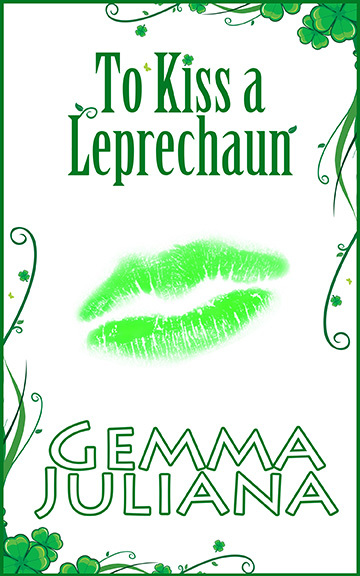 FREE GIVEAWAY: One lucky commenter will win a reading copy of my e-book novella, To Kiss A Leprechaun. 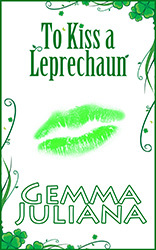 This spring story is set in Ireland, and is filled with magic, love and adventure. There are more things than an overabundance of pollen in the air at this time of year. In fact, our senses are reborn after the barrenness of winter. Beautiful song birds scouting out locations for their nests chirp and sing for our audible pleasure. Flower fragrances waft on the breeze, and bright flowers bloom for our light-sensitive eyes. It is ‘art by nature’ for those of us who hear and see these wonders. In the world of food, it is time to put away the heartier fare for a while. Chili, stew, soups and crock pot dinners warm our hearts and bodies during cold weather months. Now they can be replaced by salads, sandwiches and cold soups. One of my favorite spring meals is quiche, because it is light, fine-flavored and delicious. It’s also easy to bake a few and enjoy them with salad throughout the week. Below is my favorite quiche recipe, tried and true. It is a healthy but delicious crustless quiche, ideal for those who are cutting back on carbs or are weight conscious. I originally found it on Sally’s Baking Addictions website (wonderful website), and adapted it a little. It is beyond delicious. A crust could easily be added. Serve a slice of quiche with a tossed green salad, chopped fresh tomatoes, red onion and a dressing of apple cider vinegar and macadamia nut oil. Enjoy these subtle spring flavors. Do you have a favorite quiche recipe you’d like to share? Please post it in the comments section. One can never have too many quiche recipes. 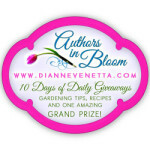 To be entered to win my ebook, leave a comment on my website with your email address. Best of luck to you! Warm your skillet over medium heat and spray it with nonstick olive oil spray. After slicing zucchini and squash and chopping the red or green pepper, add them along with crushed garlic and thyme to the pan. Add a little salt and pepper, and save some for adding to the egg mixture. Stir and cook for 5 minutes or until veggies are tender—it might take a little longer. Remove veggies into a bowl to cool, and hand beat the eggs and whites in a bowl separately. Prep a 9-inch pie pan or square pan with olive oil nonstick spray. Take the bowl of whisked eggs and egg whites, and add milk, salt, and pepper. Beat until well blended. Arrange veggies in the oiled pan and top with shredded cheese. Top with the egg mixture and sprinkle generously with parmesan cheese. Quiche will bake for 45 minutes or until it is set. Cool time: 10 minutes on a wire rack. Slice and Serve. Make two and freeze one! Thaw overnight and bake for 20 minutes at 350F. You just reminded me that it’s been a loooonnng time since I made a quiche. I harbor a special passion for squash of any kind, so this recipe is perfect! Hurry up, garden, and grow! I also discovered Sally’s site a while back. She’s amazing, isn’t she! I’m so glad you participated in this blog hop. Thanks for hopping by my blog today. YAY! Another quiche lover. I think squash lends itself really well to the whole quiche concept. Enjoy the blog hop, and the quiche. I know what you mean about ‘garden grow!’ — can’t wait for my herbs and veggies to get to edible size too. That sounds delicious! I’m a vegetarian, and it’s always nice coming across veggie-friendly recipes that wouldn’t send a non-veg* running! If only I actually cooked – this one sounds like a little too much kitchen work for my pain, sadly. But I can look at the recipe and “mmm” all day long! Emailly is ___@___.___.___, fill in the blanks with smiles, alumni, cmu, edu. I call this one my spambot-repellent! I call it ‘recipe window shopping.’ So many wonderful recipes make my mouth water, but I don’t want to invest the time to create them when the food is eaten and gone in no time. It makes the effort seem pointless. Every once in a while though, I’ll cook, and everyone in the house is glad when I do. Thanks for stopping by! I love, love, love quiche. It is one of my go to meals during football season. I don’t really have a recipe that I follow. Generally 3 eggs, 1 cup milk, mixed together and then add whatever shredded cheese I have, some sauteed veggies and then cook. Sounds like you and I cook the same way — by the seat of our pants. Some of those concoctions make for the best meals ever. Haven’t had a lot of quiche, I am copying down your recipe to try, it sounds delicious! I like the fact can freeze it. I hope the freezing works out well for you. I’ve frozen a quiche before and it was as good as fresh when I finally warmed it up. The recipes on this hop are the best! Enjoy the quiche, and thanks for playing with us all! Quiche is very easy to prepare, although this recipe has a few more steps involved due to the amount of veggies. You might want to try with a basic eggs, cream and cheese quiche. It’s as easy as 1-2-3 and beyond delicious! My quiche recipe isn’t near as extensive as ours…it just has spinach and ham. I love the veggies in yours. We LOVE quiche so I’m making this on Sunday for dinner!! Spinach and ham quiche is to die for. I’ve made it many times, too. It’s quicker and easier than this one to prepare, and just as delicious. I’d definitely going to try that quiche recipe! I love the title! Interesting recipe! Ive never had it before, but im gonna add it to my list to try! Thanks!